Generally there are no applications without requirements, Software without documented requirements is a reality that unfortunately most of us face more often. Sometimes, IT Companies develop Software Applications based on customer communication and by observing the Customer Business operations and without Documented Requirements, this type of situation is there most of the companies for some projects not for all projects. Then How to Create Test Cases, usually we derive Test scenarios from requirements then document Test Cases, but in this scenario “No Requirements documentation but Application is ready”, by exploring the application and using our past experience derive Test Scenarios, document Test cases, and execute the Test cases. They (Development Tea m and project management) gave URLs for Admin and User Interfaces and Admin Login details, no Login required for User Interface. 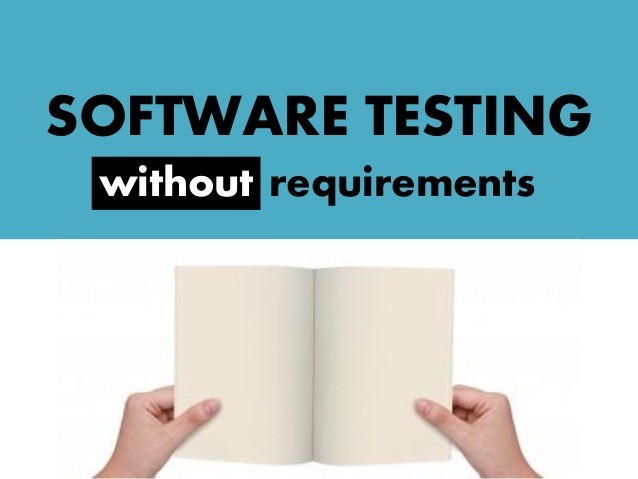 1) Write Test Cases by exploring the Application and using previous experience (generally we derive Test Scenarios from Requirements), but we don’t have Documented Requirements for this Application. Then Create and Execute Test Cases….